The title of this post makes a very big assumption. It assumes you are actually reviewing your life insurance plans! Life insurance seems to hit the gag reflex for most folks. It’s just not something desirable they care to review, make plans for or discuss. And yet, it’s one of those necessary evils. Your life insurance plans should be reviewed at least annually, and perhaps more often if you are experiencing life changes throughout the year. For example, becoming a parent or having another child is a major life event that should cause you to review your life insurance plan well before your annual life insurance review. Ok, this seems pretty basic, but I sense there is a lot of confusion out in the world regarding the types of life insurance out there. Permanent insurance is designed to last as long as you live, no matter how long you live. These can be whole life, universal life, variable universal life and a newer version of a universal life that is nicknamed permanent term. All these life insurance plans have one thing in common – they try to make sure your life insurance is their for you when you really need it – at your death. You will generally pay higher premiums because you are insuring yourself for a longer period of time and because many of these policies build up cash value, a savings portion of the insurance. Term insurance plans on the other hand insure individuals for a set period of time, or a term. This could be one year (not recommended) or it could be 10, 15 or 20 years depending on the plan you choose. If you do not die within that period of time, then your beneficiaries get nothing. You would have to buy another policy at that time. Don’t Miss Out on Another Post!! Subscribe FREE Today!! Term is great for those looking to keep premiums inexpensive. Since you are only insuring yourself for as set period of time, the premiums for these life insurance plans are generally much less. So, which type of insurance plan is right for you? It’s a question you’ll need to consider when you review your life insurance! This one makes sense right? How much life insurance do I have and how much life insurance do I need? Pretty simple. The difficulty comes in when really trying to figure out how much life insurance you need. Many folks confuse the cost of insurance with premiums. Cost of insurance refers to the cost it takes to insure you as determined by the insurance company. Your premiums may be higher than this amount if you have a permanent insurance policy because most of those have the built-in-savings portion called cash value. In order to build cash value, you have to put in an amount much higher than the cost of insurance. What I refer to here is the out of pocket cost for your life insurance, or your premiums. You’ll want to review your premiums especially with your permanent insurance because if you didn’t put enough in to begin with, your insurance company will want a higher amount to keep this type of policy going strong. With term insurance, you need to review the premiums because you don’t want to come to the end of your term and automatically renew at a much higher premium. I’ve heard of people getting a higher bill for their term insurance because it was at the end of its renewal period and just paying it because they didn’t review what it should be. Beneficiaries should be reviewed annually as well. I’ve heard horror stories of folks forgetting to change their beneficiaries after a divorce only to leave their “ex” with a nice little chunk of change upon their death. This could also apply if you created a trust and were supposed to put life insurance proceeds into the trust! There are big ramifications for having wrong beneficiaries selected so be sure to review this regularly, if for nothing else than peace of mind. 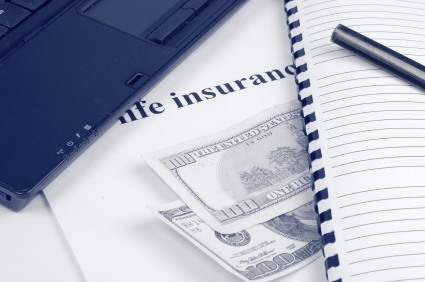 What Else Do You Consider When Reviewing Your Life Insurance Plan?